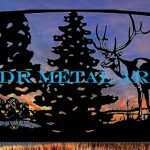 Decorative Driveway Gates | JDR Metal Art - Custom Driveway Gates - Iron Steel & Aluminum - JDR Metal Art - FREE Standard Shipping! Are you in the market for a new set of decorative driveway gates? At JDR Metal Art we specialize in the custom design and creation of decorative driveway gates for your home or other property. 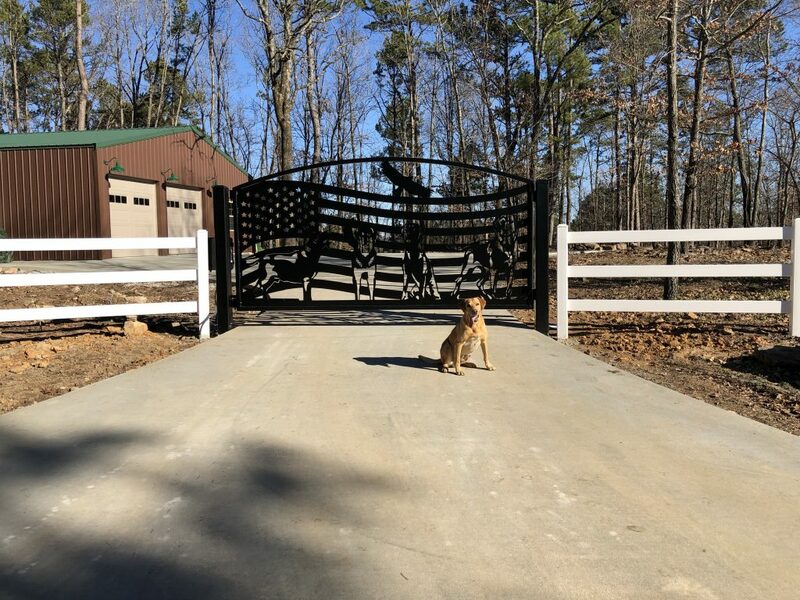 Whether you need a single swing gate or a dual swing gate, and no matter the design; we’ve got you covered and we work with clients from practically anywhere and deliver or ship our decorative gate creations directly to the final destination. Decorative driveway gates give peace of mind to their owners, especially when coupled with an automatic gate opener. The gate owner gets to control who comes and goes, and when. New apps for smart phones allow the owner to open and close the gate from anywhere they can get a cellular or wi-fi signal on their phone. Would-be thieves are deterred by the presence of a decorative driveway gate. They know that someone who has taken steps to secure the driveway entrance will also likely have taken steps to heighten security for what lies on the other side of the gates. Often times vulnerable loved ones such as a elderly family member or a young teen will be home alone. A driveway gate keeps the bad guys from being able to freely approach the home and whoever is inside of it. The design aspect of decorative gates is what makes them so unique. An entrance is usually the first thing seen on arrival at your property. A personalized decorative gate is a great opportunity to stand out from the crowd. Each gate project begins simply with the customer’s idea. The selection of themes to choose from is limited only by imagination, which can be a bit overwhelming at first. The design of course should fit the taste of the owners and the purpose of the property; whether it’s a horse farm, cattle ranch or a vacation retreat, etc. There are nearly unlimited design possibilities; oftentimes the hardest part for the client is taking the step of making a decision as to exactly which theme they want to pursue! What are Decorative Driveway Gates made from? Decorative driveway gates are still made from wood sometimes. However, metals remain the material of choice for constructing a long-lasting driveway gate. Metals are much easier to maintain than wood. There are several metals that are commonly used for constructing decorative gates. The environment in the direct vicinity of the gate site is what most commonly determines which metal will be selected. Steel or iron is the most commonly used substrate. Susceptible to rust. A zinc rich base or prime coating on the steel followed with a high gloss powder coat will provide the best results for a rust-resistant finish. Corten steel is a steel/copper alloy used when a rusted finish is desired that will age to a brownish-purple color after several years of outdoor weathering. The patina seals itself and prevents future rust streaking..typically used over pavement, asphalt or concrete driveways. Any gate near an ocean or salty road would make sense to use aluminum as the base metal, especially a marine grade aluminum. Aluminum is less than half the weight of steel which makes the gates easier to install and easier for the electric gate openers to move. Stainless steel is one of the most expensive metals used to construct driveway gates. 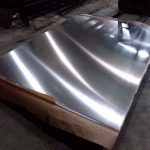 There are many different grades of stainless steel and the cheaper grades will still rust when exposed to the environment; the best grades are often cost prohibitive. It is rare to see gates constructed from stainless steel for this reason. Decorative gates often require some maintenance to keep in top working order. Hinges are a crucial component of a functional decorative entry gate. They must be kept greased every several months so the gates can swing freely without binding up. The best gate hinges are maintenence-free with permanently greased sealed bearings. The hinges should have some adjustment built in to allow periodic adjustment and leveling of the gates. Ground can move over time, especially in frost-prone areas which cause the ground to “heave” as it contracts and expands. Decorative gate openers must be regularly maintained to comply with manufacturer safety guidelines. If the gate openers are charged by solar panels they need to be kept free of snow, dust, dirt and debris that may accumulate on the panels. The built-in safety devices such as, obstruction sensors, photo-eyes and/or ground loops should be tested to make sure they are functioning properly every 3 months. Driveway gates and pedestrians don’t mix well. There are several building codes that apply to the creation of driveway gates to make them safer. Gates should satisfy the requirements of UL325 and ASTM 2200 in order to be as safe as possible. These requirements reduce the likelihood of pinch points and entrapment zones. Gate openers are designed to control vehicle access alone. They are not rated for pedestrian use. A separate walk gate should be used to eliminate the risk of pedestrian injury. Children should in no circumstances be allowed to play in the area where the gate operates! Liquid paint is the traditional coating for decorative gates. There is typically a prime coat with rust inhibitors applied first followed by a top coat of enamel. Rustoleum is probably the most widely used paint finish. The benefit of a paint finish is that it’s (typically) relatively cheap and doesn’t require much investment in equipment to apply: just an air compressor and a spray gun. A scratched paint finish can be easily touched up with a paint brush. The downsides of paints are that they have a long cure time, typically 1 week or more until they achieve anything near the full potential properties. Paints are difficult to evenly apply a protective exterior paint coating to highly decorative or dimensional elements, extreme attention must be taken to ensure such pieces are sprayed from all directions with several passes to ensure full coverage. Paints require toxic solvents to be thinned and sprayed. As these solvents evaporate there are tiny pores left in the finish that allow moisture to penetrate the paints. Liquid paints, with the exception of epoxies, do not build thickly. Liquid paints leave a thin coating compared to powder coat, often less than 20% as thick. The VOC’s in paint are hazardous and therefore not environmentally friendly and it is a messy process to deal with them. Compared to powder coat, paint is typically much more easily damaged. Powder coat is a form of dry paint. Technically it is paint resin in powder form. The benefits of powder coating on ornamental driveway gates are easy and even application with electrostatic charging of the powder. Gates with many small, intricate details can be easily powder coated with relatively little effort with powder coating. The powder is given an electrostatic charge as it is carried from a fluidized hopper to the spray gun. The charged powder exits the gun seeking the part which is grounded. The charged powder then sticks to the decorative part. Powder coating uses air rather than a solvent to fluidize into a state where it can be applied. There are no toxic solvents or paint fumes involved with powder coating. Powder coat cures with heat, not by evaporation of any solvents. Once the powder is applied the decorative part is then sent into an oven where it is baked at a set time and temperature – typically 10 minutes at 400 degrees part temperature. As soon as the part cools down the powder is fully cured into its full potential toughness. A much thicker film can be built with powder coat when compared to paint. This means a thicker layer of protection against the elements.